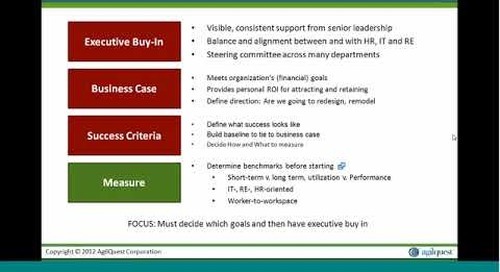 As most IT pros would agree, requests from business units are often focused on fixing specific pain points rather than addressing their root causes. When that somewhat short-sighted strategy is applied to workplace management issues, companies can miss out on big opportunities to boost employee satisfaction and drive down operating costs. Increasingly, IT leaders are taking a closer look at more holistic workplace management strategies. 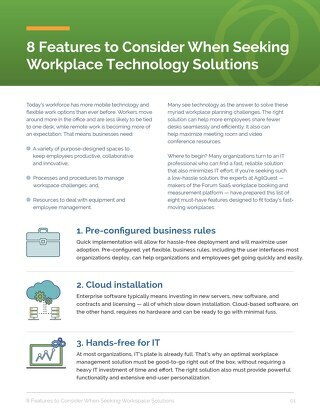 Recognizing that so many different digital technologies are converging to address workplace issues, IT pros have determined that implementing more comprehensive solutions can be the best investment. It makes sense. Modern employees are forcing dramatic changes in the workplace. Rather than coming into the office every day, employees expect flexible workplace options supported by technology that enables them to do their jobs anywhere, anytime. According to the latest telecommuting statistics from Global Workplace Analytics, 80% to 90% of the US workforce wants to telecommute at least part time. Seismic shifts of this magnitude can’t be effectively addressed with ad hoc solutions. And considering the upside of successfully meeting modern workers’ demands, IT leaders are investigating investments in more comprehensive solutions. Unless they’re coupled with a well-conceived office hoteling strategy, workplace flexibility programs can fail to achieve some significant benefits. For example, if companies continue to dedicate desks to every employee whether they’re in the office or not, the businesses are missing out on savings generated by consolidating space. Companies may still have problems providing adequate workspaces for remote workers who visit the office occasionally. And problems with scheduling conference rooms or other shared workspaces are likely to persist. 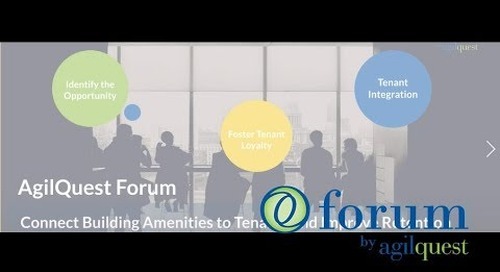 A better way to accommodate modern workers — and have a significant impact on the bottom line — is to enable a more purposeful workplace strategy with proven office hoteling technology. 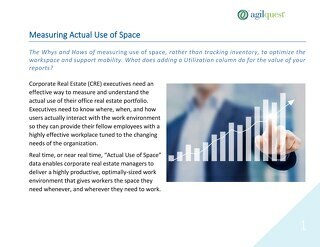 As many companies have discovered, implementing proven office hoteling technology to use workspace more efficiently can dramatically reduce leasing costs. 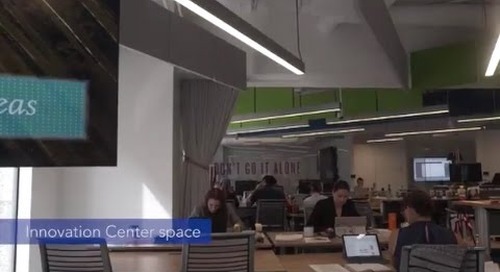 As we noted in another post, Booz Allen Hamilton, an early adopter of hoteling strategies, has been able to achieve a 1:1 worker-to-workspace ratio (higher in some locations) to reduce its annual facilities cost by 11%. Deloitte, too, has been extremely successful in using office hoteling solutions to maximize office space. The company expects to reduce its rented space to 115 square feet per employee. And with more new hires coming on, the company could see that figure drop to 85 square feet per employee. 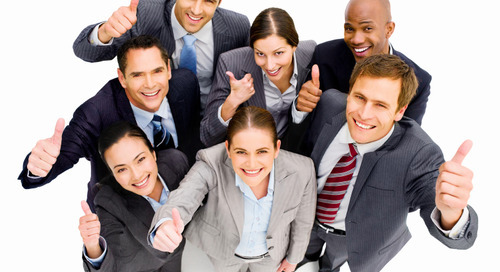 An equally important measure of success for Deloitte is employee satisfaction. 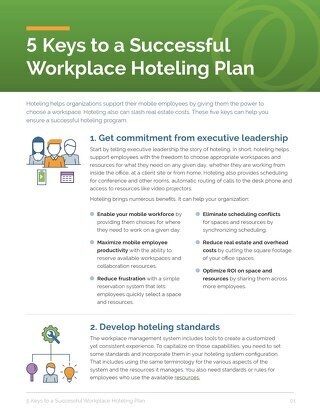 The mantra of the company’s office hoteling team is “It’s not where you work, it’s what you do.” So Deloitte carefully monitors how well it enables people who come into the office to get to work as quickly and effectively as possible. That makes sense. 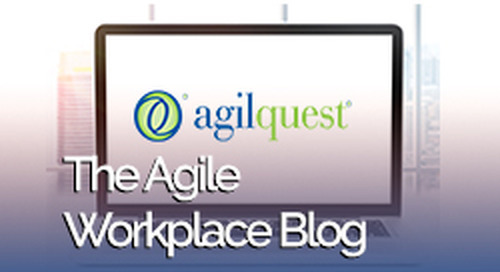 Enabling effective telecommuting options is critical. Gen Y’ers — people born during the 1980s and early 1990s — are especially attracted to flexible work arrangements. On a scale of 1 to 10, they gave it an 8 on impact on overall job satisfaction. Boosting job satisfaction can increase employee retention, resulting in lower costs. But some companies may also discover that offering flexible workspace opportunities to employees can hold the line on salaries, too. Global Workplace Analytics reported that 36% of people would choose the ability to work from home over a pay raise. A poll of 1,500 technology professionals revealed that 37% would take a pay cut of 10% if they could work from home. 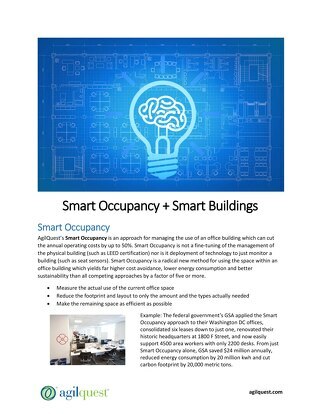 The affordability and ease of implementation of even comprehensive office hoteling solutions should also compel organizations to take a closer look. For example, our OnBoard Professional solution, a cloud-enabled version of our OnBoard Enterprise product, is a ready-to-use offering that eliminates hardware costs, bypasses update hassles, and reduces configuration efforts. It also eliminates the need for internal IT support. OnBoard Professional is anything but a lightweight solution. 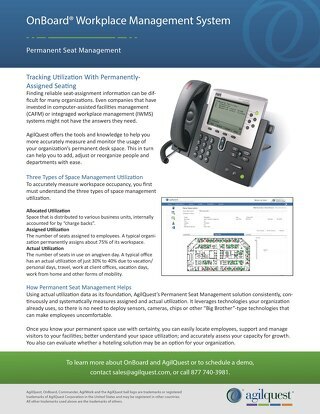 It provides enterprise-class scheduling of office resources, such as conference rooms, video and telepresence rooms, project rooms, desks and offices. 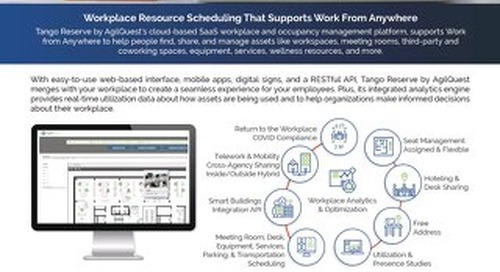 Its advance workflow and business logic keep all reservations in sync, notify all invitees, and provide users with a broad set of choices so they find and reserve space they need, such as an individual workspace, conference room or collaboration area. The solution includes the user interfaces most organizations deploy to maximize user adoption, making it easy to get started quickly and drive fast user adoption. Because it is a cloud-hosted solution, companies avoid the expense of new servers, software, contracts and licensing. Out of the box, OnBoard Professional is ready with packages for organizations needing to support 25 to 100 rooms or desks. For companies that are just beginning to explore the benefits of modern workplace management strategies, OnBoard Professional is the perfect pilot solution. 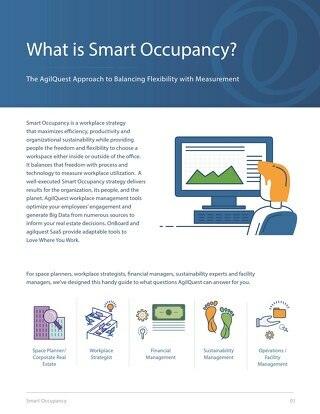 Affordable and easy to implement, it provides organizations with a low-risk opportunity to determine if office hoteling solutions can address their workplace challenges. With increasing pressure to boost profit margins, management is seeking cost savings anywhere they can find them. 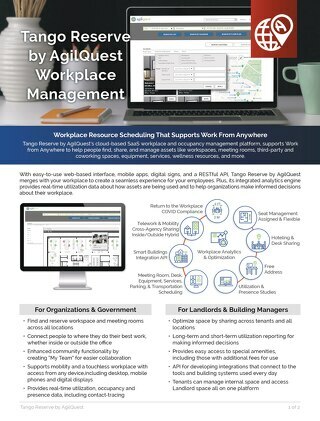 By helping management fully understand the capabilities of modern hoteling solutions, IT teams can help their companies implement full-throttle workplace management strategies that drive down cost and help to attract and retain top talent.